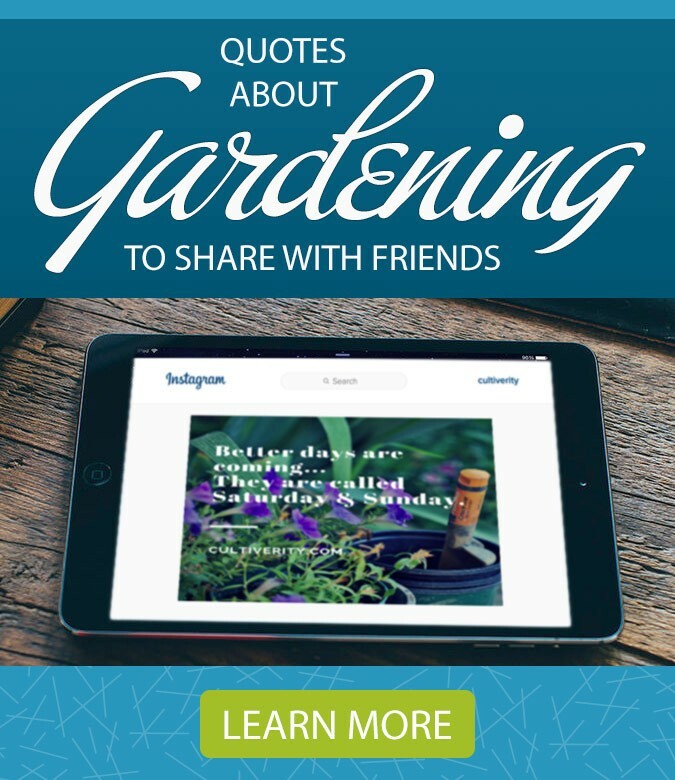 HPSO member, Darcy Daniels is a renowned garden designer with Bloomtown® Gardens and creator of eGardenGo a web site that helps gardeners decide what to plant with what. Loaded with plant combination recipes, the site is perfect for gardeners at all levels — beginners as well as pros can find lots of fresh ideas and inspiration within its pages. Her gardens have been featured in many publications, and her home and client gardens have been included in numerous local, regional and national garden tours. The delicate foliage of Adiantum venustum is a lovely companion to the glossy, heart-shaped leaves of Beesia deltaphylla. As my garden developed and evolved, so did I as a gardener; ultimately becoming a garden designer by trade. Creating a seasonal flow of color and bloom was one of my original passions, and is still important to me, but over time an emphasis on foliage, form, texture, and line has prevailed. Because I garden on a small plot, and most of the client gardens that I work in are small, I’ve had a lot of practice whittling down the possibilities of what to plant. One way I’ve learned to do that is to put each plant through a rigorous selection process, asking it to prove its worth—season in, season out. Some of the books I was lucky enough to pick up early on included Ketzel Levine’s Plant This!, Susan Roth’s The Four-Season Landscape, Easy-Care Plants and Plans for Year-Round Color, and anything and everything by Ann Lovejoy. These are a few of the books that struck a chord with me and were among the staples on my bedside table for months and months. My selection process boils down to this: the larger the plant, the more rigorous my standards are. When there’s only room for a few large shrubs and/or small trees, they need to really deliver through the seasons. Therefore, I’m going to ask them to deliver on more than one of these attributes: spring or summer bloom, fragrance, wonderful foliage, fall color, interesting bark, or branching structure for winter interest. When I start selecting plants to include in a garden, I typically start at the top and work down. First I identify the trees and larger plants that make up the dominant structure and canopy of the garden, and go from there, in a kind of decision-making tree (pun intended). It’s an “if this, then that” process, where each plant I choose narrows the field of possible partners. After I’ve selected one, I have a starting point to build upon, and can select the next plant partner to complement the evolving combination based on its foliage, form, and texture. Plants typically need to pass muster on an individual basis before being considered for inclusion in the larger scheme, but I do make some exceptions. As I said above, I’m more forgiving of a small plant than I am of a larger, structural plant. Cedrus d. ‘Silver Mist’, Hebe sutherlandii, Cedrus d. ‘Feeling Blue’, Cornus ‘Hedgerow’s Gold’, and Choisya ‘Aztec Pearl’. I sound like a real party pooper, don’t I? Time and time again, though, I hear from gardeners frustrated because they feel that their garden lacks that certain something that keeps it looking great month after month, season after season. If that quandary sounds familiar to you, these ideas might seem right for you. I find that this rigorous selection process resonates most with those of us who garden on small plots. Perhaps I’d be singing a slightly different tune if I had developed as a gardener on a larger piece of property. I suspect I would have arrived at the same principles, though perhaps modified: the goodness ratio intact, but “scaled up” to jive with my larger canvas—the standard still high, just different math. Initially, I was very focused on color, striving to orchestrate an ongoing, undulating symphony of blooms and foliage that included accents of deep burgundy, multiple tones of purple contrasting vividly with acid-yellow foliage, and all shades of green. Stewartia monadelpha at Elk Rock Garden at Bishop’s Close, showing off its lovely cinnamon-brown bark. Big ornamental grasses are a wonderful, economical way to convey maturity and fullness in a young garden but can quickly outgrow their allotted space. 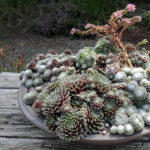 As transitional plants between long-term “keepers,” we can enjoy them for a while and later remove them—guilt-free, because it was part of the plan all along. Once I’ve selected hard-working plants that I love and am excited to grow, I try to plan and place these “keepers” very carefully. I’ve learned to be especially careful in the placement of trees and the larger structural shrubs. I vividly remember visiting a potential client who had a wonderful garden in many ways. 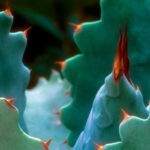 She had an excellent eye for outstanding plants; many of the plants she had selected were among my all-time favorites. Sadly, she had planted them without a long-term vision for the garden, and as a result some wonderful plants had outgrown the available space and needed to be removed. What a disappointment that was for her! Like many people, she found herself in that awkward position as a result of her tree and conifer choices, made years before. It can be hard to visualize the ultimate size of a plant when it’s young. Even the slow-growing, so-called “dwarf” conifers will need quite a bit of room, by and by. So when I’m deciding where to plant my slow-growing-but-eventually-awesome plants, I’ve found that it pays to picture them at maturity (or at least middle-age). plicatum tomentosum ‘Mariesii’ and Cotinus ‘Royal Purple’. In their heyday, these quick-growing shrubs were awesome and stole the show. As my garden evolves, the trees that I planted early on are gaining dominance and the viburnum and purple cotinus are gone, having come to the natural end of their life in my garden. Witch hazel ‘Jelena’ pulling a double shift; she’s at her peak in winter (left), but earns her keep in the summer by being a good host for a summer-blooming clematis. If I gardened on a much larger scale, my choices and options would be very different. Small plants that are especially lovely, or plants that share space well, are given a reprieve, the standard relaxed somewhat. For example, naturalizing bulbs such as crocus (above), anemone, species tulip, and allium. Now for the fun part. I’ve spaced out my “keepers” and gotten my foundation plants in position. But I’m left with some wide-open spaces. Trick is, they’re not really open, just temporarily vacant. So, in the meantime, I like to play in the in-between bits by putting in plants I’ll be okay with removing at some point. I can have fun with these plants knowing that, later, when I do take them out, I can do so without remorse. Removing them is part of the plan—not a failure, just the natural evolution of the garden. Finally, we all know that our gardens can get a bit muddled over time. Editing my garden is a way of bringing my vision back into focus. And these edits can be a lot less perplexing when I’m simply executing my original vision—you know, the one I developed during the original rigorous plant selection process. Within this framework, I have the confidence to make the big and small changes that make each garden unique, and have a blast doing it. All photos by Darcy Daniels. 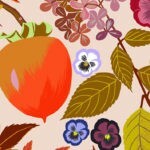 So pleased to be connecting with fellow Hardy Plant members here—I’m loving the newly minted HPSO blog!